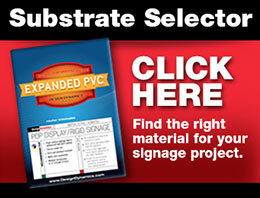 High impact, high visibility architectural signs draw attention to your property. Tenant directories improve traffic flow by directing and informing your customers. Creating directional signs that support the architectural elements should add to the environment you’ve created, not detract from it. Effective construction signage identifies dangerous zones on the premises, and does so in a way that catches the eye without being an eye sore. This ensures that employees and visitors can safely navigate the premises. Constructions signage is also an opportunity to explain what is being built or renovated so people can get excited about what’s “COMING SOON.” Visually compelling images of the finished project grabs attention and allows the owners a chance to directly communicate with those passing by. Giant cranes, work trucks, and the sight of dozens of people all working together on something new is a spectacle that affords opportunity. Failure to display signs at a construction site not only short changes the owners but also robs the architects and construction companies from increasing their profile in a community. Call a design consultant today to discuss the many available options.